The Independent Order of Odd Fellows began in 18th Century England, it was deemed odd to find people organized for the purpose of giving aid to those in need without recognition and pursuing projects for the benefits of all mankind. Our deep history began in England and was brought to North America by Thomas Wildey in 1819 at the Seven Stars Tavern, Baltimore, MD. It is continually expanding as a worldwide fraternity and is currently in 26 countries. The Odd Fellows and Rebekahs – as they are commonly referred – are striving to make the world a better place in which to live, seeking To Improve and Elevate the Character of Mankind. Odd Fellows have also become known in many areas as “The Three Link Fraternity” which is evidenced by our worldwide “Three Link Emblem” which stands for Friendship, Love and Truth. These three links symbolize the chain that binds our members together and illustrates that our Communities, States, Provinces and Nations are strongest when joined together. The Independent Order of Odd Fellows (I.O.O.F.) will not discriminate against any individual on the basis of disability. The I.O.O.F. will make reasonable modifications in policies, practices, or procedures when such modifications are necessary to afford its services and facilities to individuals with disabilities, unless the modifications would fundamentally alter the nature of its services. The I.O.O.F. will not exclude any individual with a disability from the full and equal of its services and facilities, unless the individual poses a threat to the health or safety of others, or him/herself, that cannot be eliminated by a modification of policies, practices, or procedures or by the provision of auxiliary aids or services. The I.O.O.F. will not exclude any individual from the full and equal enjoyment of its services and facilities because of the individual’s association with a person with a disability. 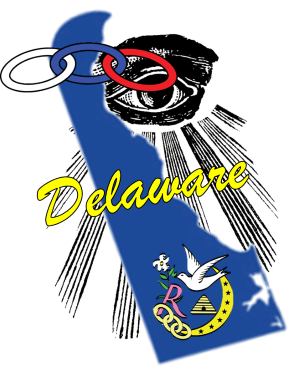 © Copyright 2017-2019 – Independent Order of Odd Fellows of Delaware. Odd Fellow and Rebekah Lodges for men and women to promote values of Friendship, Love and Truth.